My Magic Palm! | You Can Succeed Now! Want To Get More of What You Really Want? Start Right Here! There is magic right in the palm of your hand! You can use your magic palm to create more of what you really want! Your palms represent the nerve endings of your brain, so they are an accurate indicator of how your brain is programmed! That is why your palm reading will be so accurate that it will amaze you! There are twice as many people looking for a great palm reading as there are looking for a great life or career coach! Palm reading is one of my most popular services! Did you know that there are 144 references to Gifts of Spirit in the Holy Bible? It is easy to Google it to find out what they are. God gave us Gifts of Spirit to enhance our lives and help others. We all have Gifts of Spirit. Your life purpose complete with a list of careers you would be good at! Your love potentials including marriage and children! Anything mysterious or unusual about you! Any of those categories can be life changing for you! It’s easy and affordable to get an expert palm reading. It happens to be one of my specialties! I have been coaching people since 1979, and I have been a pro palm reader since 1985. I have read thousands of palms. It is endlessly fascinating to me. I am a licensed and ordained interfaith minister with a PhD in Religion/Spiritual Counseling, so you know my heart and intentions are in the right place. My Doctor of Divinity is in Advanced Energy Medicine. You KNOW you’ve always wanted to do this, and here is your opportunity! I READ BABIES’ PALMS FOR FREE when one or both parents have a paid reading! You may PayPal me using my secure branded PayPal link no .com, type just this way! ): PayPal.Me/mymagicpalm, or I can take your credit card information by phone or in person. Fantastic! I’ve been seeing Sheila for 15 years and just brought my two teens for their first palm reading. Their eyes were wide with excitement at all she had to say. The schools don’t come close to the accuracy of this kind of information, and that makes it life changing. Lois A.
Sheila is very professional, and extremely respectful. 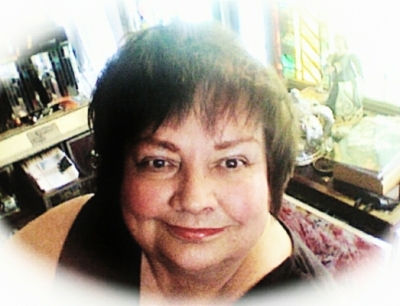 Carole H.
She makes you feel comfortable whether it is your 1st or your 50th reading. She is extremely insightful, and very approachable. David P.
Sheila has changed my life and pointed me in the correct direction to achieve my goals. Robert K.
Most highly recommended. Scott B.
Wow, what an incredible reading! I have seen Rev. Sheila for over 20 years and I am always amazed at the accuracy and the level of care that goes into each reading. I always come out of it with more clarity and optimism about the situation at hand. Joseph C.
“I ran across a taped session from you from 10 years ago when I was 20. So interesting to listen to now! I just wanted to share some of the accuracy of it. You said I would be successful in work involving using my hands, and now I happen to be a massage and shiatsu therapist, but also have developed a love for clay along the way. You talked to me about being successful in my own business or that I would eventually would be fed up enough that I would want to do my own business, which is where I am heading, I believe. You said I had a little cross on my hand, pointing to psychic abilities. Have had different types of spiritual awakenings/experiences. Also I do a lot of the alternative therapies, tapping, energy work, mantras, chanting, and am always open to new awakenings. I’ve always wanted to have that self-created life before getting married, and you said that as well! I’ve been in a long-term relationship with someone I know I have been with before, and you talked about past lives in my reading. ‘m blown away with the results I got from Sheila, I never told her about any information that was lingering in my head ~ she seems to “pull it out of my palms” And it really seems very fitting to what she has said to me. I’m happy with the results and thank you Sheila! I look forward to being of service to you soon! Thank you for visiting My Magic Palm today! You are also on my blog (SheilaKnows.Com), so do have a look at all the other free and useful information here for your personal development. There are 8 gifts itemized on the “Start Right Here” page! For instance, U.S. Troops and their families can get my entire self-study life/career skills course for free, just for starters! I love to see people succeed, and I love to give things away! Start Right Here To Get More of What You Want! Welcome to the “Help Me Date Club”!